The World’s First Fully Electric Luxury Motor Yacht. 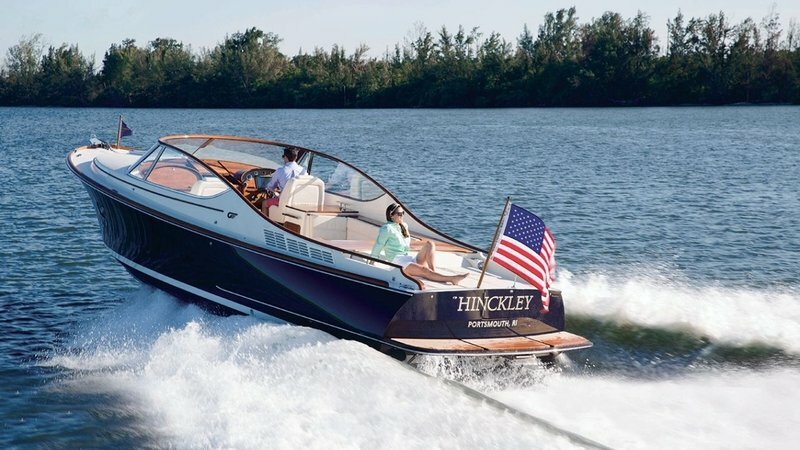 Hinckley launches a new golden age of runabouts with a 34 footer. Wind in your hair, sun on your face, swimsuits all day and Sinatra all night long. Runabouts are the very definition of summer heat. 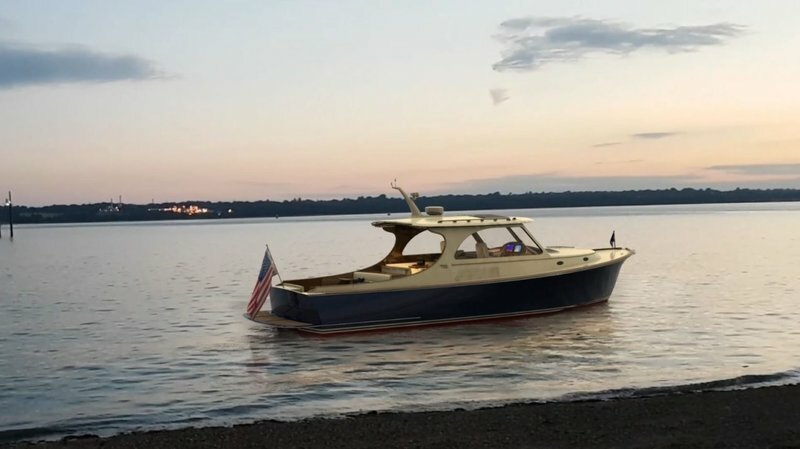 Now Hinckley launches a new golden age of runabouts with a 34 footer that is fast and dry with a ride choreographed by our patented Jetstick handling. A Spectacular Vantage Point For Piloting and Entertaining. Talaria 43. 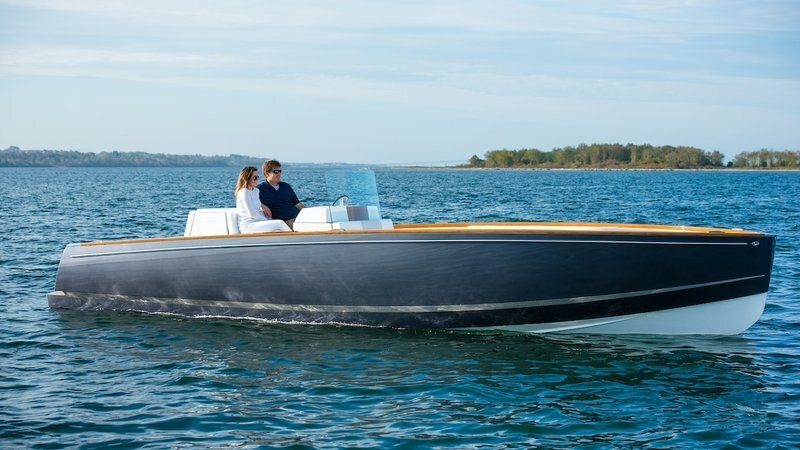 A new breed of express yacht where the aft enclosure disappears at the touch of a button and the shoreline disappears off your transom at 34 knots. Her joystick commands jet or IPS drives. Her lines command attention. Sweet. The Talaria 43 has been acclaimed since introduction for its extraordinary layout with an easy, wide-open flow from the cockpit to helm, thanks to a revolutionary system of retractable glass at the aft end of the cabin. Naturally, Hinckley engineers got to work adding a flybridge but reserving this spatial arrangement as design target one. Mission accomplished. 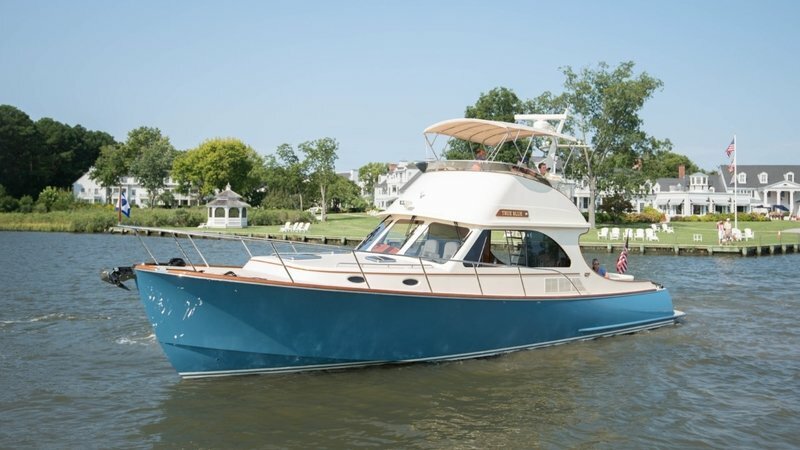 The Talaria 43 Flybridge edition yacht Hinckley Yachts Talaria 43 Flybridgeoffers the same sporty layout enhanced by a spacious flybridge. Now, the captain and guests can socialize while enjoying the penthouse view. The future is here. Since 1928, Hinckley has been leading the way in the design of beautiful, highly innovative and timeless yachts. In the spirit of our legacy of innovation, we are excited to announce Dasher, the world’s first fully electric luxury yacht. Reservations now being accepted for delivery in Summer 2018. Designed from the ground up for fully electric propulsion, Dasher achieves a new standard of excellence with modern styling paired with super lightweight construction. From her carbon-epoxy composite hull, to her handpainted, lightweight Artisanal Teak, every ounce of weight has been shaved and every curve sculpted. Arriving not with a roar, but with our silent Whisper Drive propulsion system powered by dual BMW i3 lithium ion batteries, the shape of the future is also the sound of silence. The result is a serenity not easily found. Time to reconnect with friends and family, sharing a conversation and enjoying quiet, quality time together. With zero emissions and zero time lost traveling to the pump and back, it’s not what Hinckley has added to Dasher but what Hinckley has removed that you’ll love most. The new Picnic Boat 40 sports all-new Hinkley TriGuard Epoxy Construction which uses Aramid fiber/E-glass for a durable outer skin paired with lightweight carbon fiber for the inner skin. Tough and lightweight Corecell M Foam is used as an inner core for rigidity. The hull is then infused and post-cured with Epoxy resin for lightweight strength and a faster, more fuel-efficient ride.